The latest trend in Chinese cuisine in Richmond, B.C. has new restaurants catering to extremely expensive tastes during the busy Lunar New Year season. Special Chinese New Year menus at the already upmarket eateries range from a few hundred dollars to $2,400 for a table of 10 people, which sold out weeks ago. "There’s definitely these restaurants that are opening up that have a lot of swagger to them," said Lee Man, a food writer and a judge for the local Chinese Restaurant Awards. Chinese cuisine in Richmond, B.C. 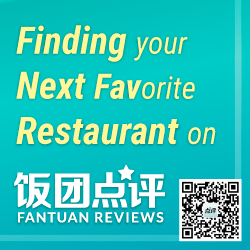 has long been recognized by many food critics as possibly the best Chinese food in the world. Man says that upscale dining hasn’t always been the case in the Lower Mainland. "Chinese restaurants in Vancouver traditionally have been about being low key," said Man. "So this is definitely really new." Man says it’s not just about charging high prices — these restaurants are catering to a sophisticated crowd that values quality ingredients. "It’s really about raising the stakes and providing an ever more high-end product," said Man. "The quality has to be there … You definitely get what you pay for, and there’s definitely a market for it." Man calls this a "beautiful little restaurant" with excellent Cantonese cooking. Its VIP section costs a minimum $900 for six or seven people. Renowned for its seafood, Peninsula serves a special fried rice dish that costs $138 a plate. It includes abalone, fish maw and scallops. This new restaurant at Vancouver’s Trump Towers hasn’t opened yet, but it’s already generating a lot of buzz. 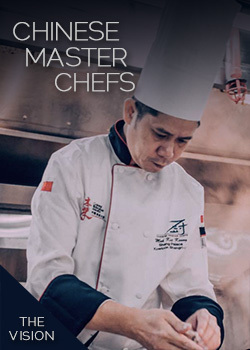 Mott 32’s original location in Hong Kong is world renowned. Located under the Granville Street Bridge, Man says the owners likely spent millions on renovations. He says it’s the first restaurant in Canada with a custom oven for barbecue duck.